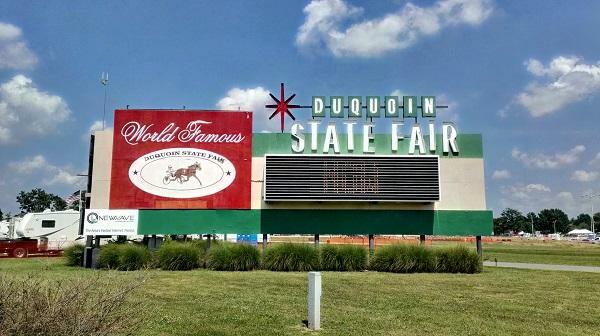 The Du Quoin State Fair kicks off Friday in southern Illinois. Spokesperson Morgan Booth says this year's fair features free entertainment, harness racing, livestock shows, food, carnival rides and a great grandstand concert lineup. "Personally, I thinks we have an amazing concert line-up this year. We've got some huge acts such as Nelly, Chris Jansen, The Gin Blossoms. There's really something for everybody there." Dinger Bats co-owners, Kyle & Randy Drone of Ridgway, are the Grand Marshals of the 2017 Twilight Parade, which kicks things off Friday at 6 pm. A free concert by the Chicago 6 will be held at the Grandstand at 8 pm, following the parade. Three members of the '85 Chicago Bears defensive line formed The Chicago 6 in 2012 and now travel the state performing. For all the details, visit the website: duquoinstatefair.net. The fair runs through Labor Day. Each year as summer winds downs, the city of Du Quoin becomes the most popular location in southern Illinois. The annual Du Quoin State Fair brings thousands of people to the small town to enjoy the food, rides and entertainment.